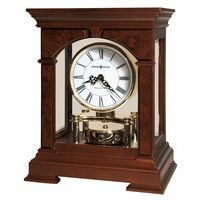 This traditional tambour style mantel clock is rich in details. 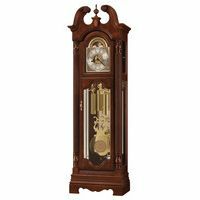 A beaded molding surrounds the base, accenting the carved side scrolls and camphor burl veneered front panel. 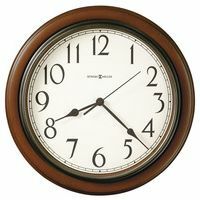 Lambs wool dial offers black Arabic numerals, black serpentine hands, and convex glass crystal.